To call it a Lake is actually a bit of a misnomer. Technically, it is a spruce bog, whose chemistry and biology has likely remained reasonably static since it formed following the retreat of the most recent glaciers ~10,000 years ago. Core sample data going back for the past 200 years suggests it has been fishless for at least that long, indicating that the acidity is not due to industrialization but is due to the unique features of the bog and the underlying bedrock which bestows very little buffering capacity to the water. Of the amphibians that breed in Bat Lake, the one this ‘lake’ is best known for is the Spotted Salamander, Ambystoma maculatum. Every spring, thousands of salamanders embark on a migration (probably ~1-2 km) to this breeding site. History of the Bat Lake Inventory of Spotted Salamanders. (BLISS) The salamanders of Bat Lake have long been of interest to people familiar with Algonquin Park. Pre 1990s – Numerous Algonquin Park Naturalists have helped to highlight the unique ecosystem at Bat Lake. It only takes a brief read of the Bat Lake Trail Guide to see the importance of salamanders to the surrounding ecosystem, where they are estimated to make up a large portion of the animal biomass. 1993 – I was first introduced to Bat Lake as an undergraduate student conducting a research project in the lab of Dr. Jim Bogart at the University of Guelph. I was not the best of research assistants and not much came of my work that summer (I am grateful to Jim for for his patience), but this little lake had a large influence on my thinking as a biologist. 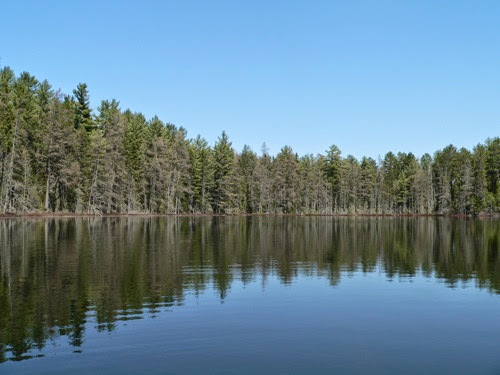 1994 – 2006: Through the initiatives of Ron Brooks and the MNR, Bat Lake was included among other lakes in Algonquin Park for egg mass counts. 2004 – 2007: My lab began a series of studies on the symbiosis between the embryonic salamander and a algae that grows within the egg capsule. See here and here. 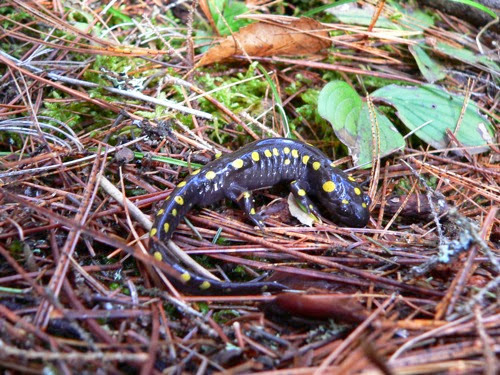 2008: My lab started formal Spotted Salamander monitoring at Bat Lake, referring to the project as BLISS. Aptly named, it turns out, since the students who tend to gravitate toward the project find working at Bat Lake a blissful experience! At least if they like working with herps. 2008 – 2012: The initial years of BLISS have worked out the ‘bugs’ of starting a field project in a remote part of Ontario far from where we all live. Various students have taken part over the years, including David LeGros, Patrick Moldowan, and Sean Boyle, all of whom I am proud to note have gone onto bigger and better things. Let’s hope they become the next generation’s biologists! Present day: BLISS is currently co-managed by Algonquin Park Biologist, Jennifer Hoare, operationally run by Patrick Moldowan, with data deposited and analyzed by me (Glenn Tattersall). I feel sad that I am not more involved, but I have yet to manage to clone myself to allow me to get into the field in the springtime. 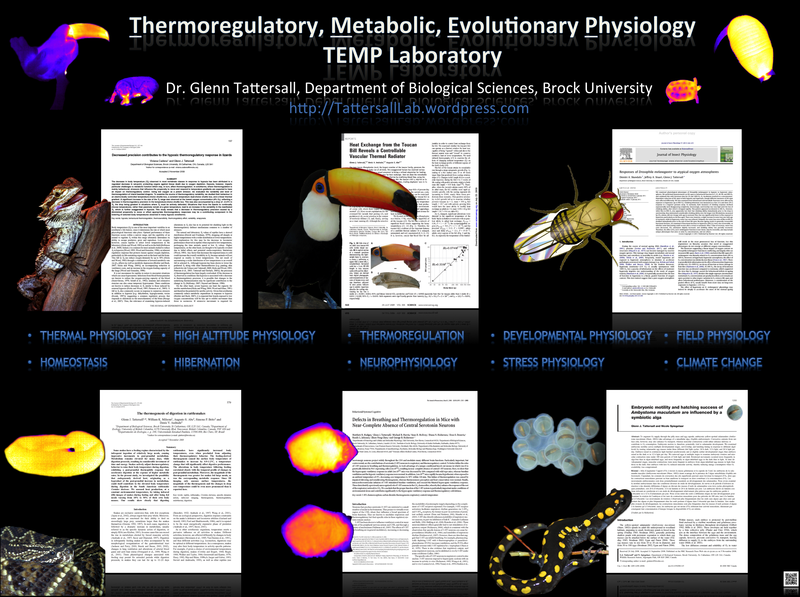 Back in my lab at Brock, May is usually one of the busiest times of year as new students are starting research projects, and conference season is in full swing. Maybe one year I will actually get to experience the BLISS that is working in the field catching salamanders. Into the future: The plan is for BLISS to remain a cooperative venture between the Ministry of Natural Resources/Ontario Parks, Universities, passionate biologists, and supported by volunteers! 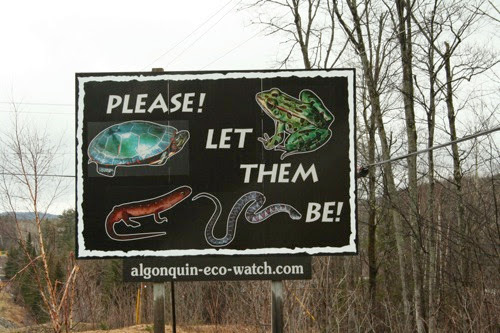 Check out this blog from Ontario parks showing their support for our project, as well as a creative writing impression (written by Patrick Moldowan) of what it is like to be a herpetologist anticipating the most exciting time of year: Spring!! I hope to begin to write up some interesting results from BLISS in the next year or two, and will be happy to discuss questions with interested colleagues. So far, we are obtaining informative trends and associations between egg mass abundance and adult body size and changes in previous year’s climate. The trick with a long-term dataset is how long to wait before publishing the results! Of course, BLISS would not be possible without the Algonquin Wildlife Research Station and all the researchers who have made this place what it is. Check out their website for more information, but in short, this research station is primarily operated by dedicated university researchers who pursue research into Wildlife in the boreal forests of Ontario. Many Ontario university undergraduates have sunk their teeth into research at this station and fallen in love with science and the outdoors. Since federal funding for basic sciences is under threat, all field stations need support from the public, so please consider donating.